If you’ve checked out any of the other tabs, you probably noticed that Lake Tahoe offers a lot to do. We at LakeTahoeThisWeek.com want to make sure you can take advantage of the fun at Lake Tahoe while keeping your wallet happy, which actually is possible with Lake Tahoe coupons! It doesn’t matter if you’re on a Lake Tahoe vacation or a local – anyone in the Tahoe area can enjoy these deals. Here you can find coupons and great deals for activities, passes to attractions and the merchandise at local shops. 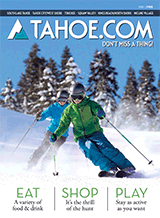 Lake Tahoe coupons increase the fun you can have in Tahoe’s many towns. Stretch your shopping budget a little further as you explore Tahoe’s funky little boutiques and sports stores. Use coupons to take you to different restaurants every night during your vacation, or treat yourself to a meal out just because! How does a free day pass to a Lake Tahoe attraction sound? 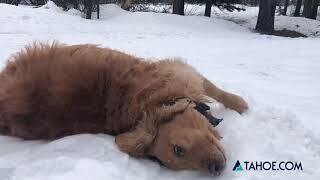 Or maybe discount passes to ski slopes for your Lake Tahoe vacation? Maybe you can see why we’re so in love with this part of the website. There’s so much to do and so much to save with Lake Tahoe coupons – what excuse do you have to not take advantage of them? Did you come all the way to Lake Tahoe only to discover that you left your hiking boots at home? Not to fear, sweet travelers; these coupons have you covered. Find sweet deals on hiking boots at Tahoe shopping. Use the money you save with these coupons to enjoy even more Tahoe activities. Lake Tahoe coupons are easy to use — you can print them from this page or just show them on your Smart phone. And this site is updated with new coupons and deals all the time, so be sure to check it frequently! Present this coupon for a FREE shoe rental. One coupon good for your entire group.